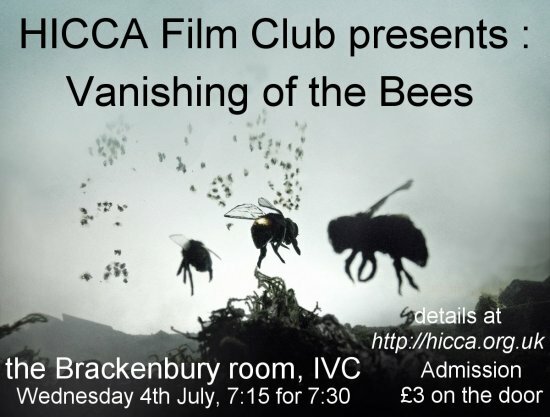 As part of Feast Week, HICCA film club will be showing “Vanishing of the Bees” on the evening of Wednesday 4th July. In addition to the film, a representative from Cambridge Bee-keepers will give a short presentation and answer any bee-related questions you’d like to ask. Bee-based products will also be on sale. Refreshments will be available – cold drinks, and home-made cakes ! The film starts at 7:30 – We look forward to seeing you there. « HICCA Film Club is showing “One Degree Matters” on March 14th..